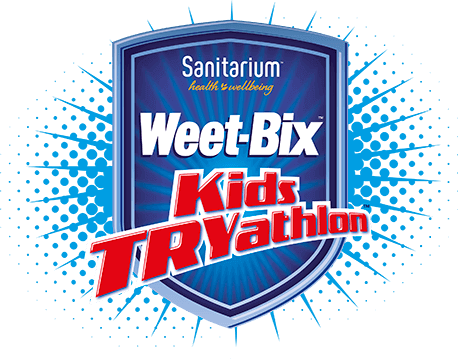 Weet-Bix TryTr@iner is a training programme that will help you get into gear for the Weet-Bix Kids TRYathlon in 2016/17! As a general guide, if your child is 7-9 they should use the Beginner training programme, 10-12 year olds should use the Moderate training programme, and 13 and above the Advanced training programme. 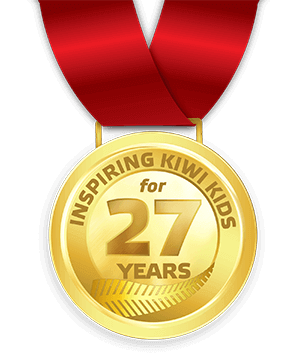 The Parent/Guardian of the child is responsible for the training environment the Tryathlete uses to undertake the Weet-Bix TryTr@iner Programme and will supervise the Tryathlete at all times during his or her use of the Weet-Bix TryTr@iner Programme. 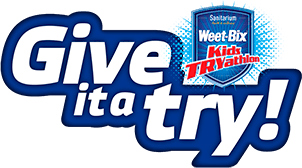 The Tryathlete uses the Weet-Bix TryTr@iner Programme at his or her own risk. 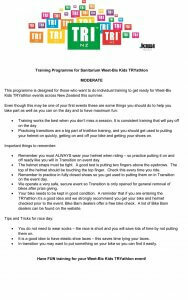 We suggest you download a training programme suitable for your child and print out and put on the fridge. Good luck with your training! To download a PDF of the programme, click on the button below.